Chester County Drunk Driving Attorney | Ciccarelli Law Offices | Ciccarelli Law Offices, a Pennsylvania Law Firm based in suburban Philadelphia (West Chester PA) and serving all of Pennsylvania for Civil and Criminal Litigation matters. Perhaps you have been in a Pennsylvania bar or restaurant and observed a sign posted in the bar that essentially states that should you appear to be intoxicated, the establishment can refuse to serve you alcohol. It might seem such a sign would exist in order to keep customers in check, since intoxicated patrons tend to be louder and rowdier. In fact, the reason for the signs are to protect the person who holds the liquor license for the establishment. Under Pennsylvania law, that person could be held liable if they serve an obviously intoxicated person and that person is later involved in an accident. This law is known as the Pennsylvania Dram Shop Law, and includes private events as well as public bars and restaurants. Further, if an obviously intoxicated person is served more alcohol, then begins a fight with another, the injured person may sue under Pennsylvania’s Dram Shop Law. Strangely enough, if the same visibly intoxicated person continues to be served by a restaurant, bar or private event bartender, then is injured after falling down, the intoxicated person is allowed to sue under Pennsylvania’s Dram Shop Law as well. Our team of Chester County Accident Lawyers fights for victims of drunk driving and Dram Shop violations thorough out Pennsylvania. Our accident lawyer legal team is based in West Chester PA and is aggressive in pursuing claims against a drunk driver and responsible bar that has contributed to a serious accident in PA including Chester County, Delaware County, Bucks County, Berks County, Lancaster County, Montgomery County or Philadelhpia. Suppose a neighbor decided to have a party at their home, and hire a caterer or licensed bar service for that party. If a guest invited to the party is over-served while at the party, the catering company or bar service could be held responsible. In fact, any hired service, which has a liquor license and works at the party may be held accountable for over-serving a guest who later causes an accident. If your neighbor doesn’t hire a caterer or other licensed bar service, then, as the host of the party, they would be the person responsible for the actions of intoxicated guests. Allowing an intoxicated person to continue to drink at a private party may fall under the Pennsylvania Social Host Laws. If a minor consumes alcohol at a private party—even if the host was unaware of that fact, and the minor did not have consent—the host of the party could still be held accountable. In some states, lack of evidence of certification or appropriate training for bartenders and servers has been used as a statutory defense to similar dram shop laws, however there is no such defense in Pennsylvania. As a result, most Pennsylvania trial courts have stricken allegations related to failure to train or supervise staff. Pennsylvania trial courts generally apply a commonsense approach to the Dram Shop Law, which means while the bar’s practices and policies could be admissible, under certain circumstances, training and other policies do not negate the liability for serving a visibly intoxicated person. Many people wonder why the laws of Pennsylvania allow a bar, restaurant or private establishment to be named as a defendant in addition to a lawsuit against a drunk driver. The answers may lie in the fact that owners and managers have a legal duty to serve alcohol in a responsible manner. If they fail to do so, they must be held accountable. Further, in many cases, the individual who was intoxicated may simply not have adequate insurance or financial resources which would allow them to fully compensate the injured person or persons. Medical care and treatment following a drunk driving accident can be quite expensive. When a drunk driver has injured you or someone you love, it is important to understand the severity of these injuries. Drunk driving accidents are often severe and may require years of hospitalization, rehabilitation, and long-term care. In some cases, accident victims are never able to fully recover, leading to the loss of employment, hobbies, and overall quality of life. When this occurs, drunk driving accident victims should be compensated for their losses – to ensure that they do not have to also assume the financial burdens of living with their injuries. If you have been injured by a drunk driver in Pennsylvania, it is crucial you speak to an experienced Pennsylvania DUI attorney in order to ensure your rights are protected and your future holds some hope. We can help you obtain the money you need to fully recover and will hold ALL parties accountable for your accident. The DUI accident attorneys of Ciccarelli Law Offices have successfully represented individuals throughout the state of Pennsylvania that have been injured in drunk driving accidents. 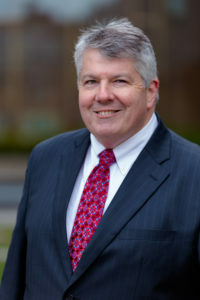 Our Chester County based law firm is based at 304 North High Street, West Chester PA 19380 and serves clients in Kennett Square, Downingtown, West Chester, Coatesville, Exton, Chester Springs, Chadds Ford, Landenberg, Honey Brook, Oxford, Lancaster, King of Prussia, Reading, Media, Malvern, Parkesburg, Phoenixville and Paoli. Contact us now at (610) 692-8700 or call toll free (877) 529-2422. Don’t wait—contact an attorney immediately.